In late July we received images for 31 coins back from VSS and we added them to the web site, bringing our total inventory to 850 coins. 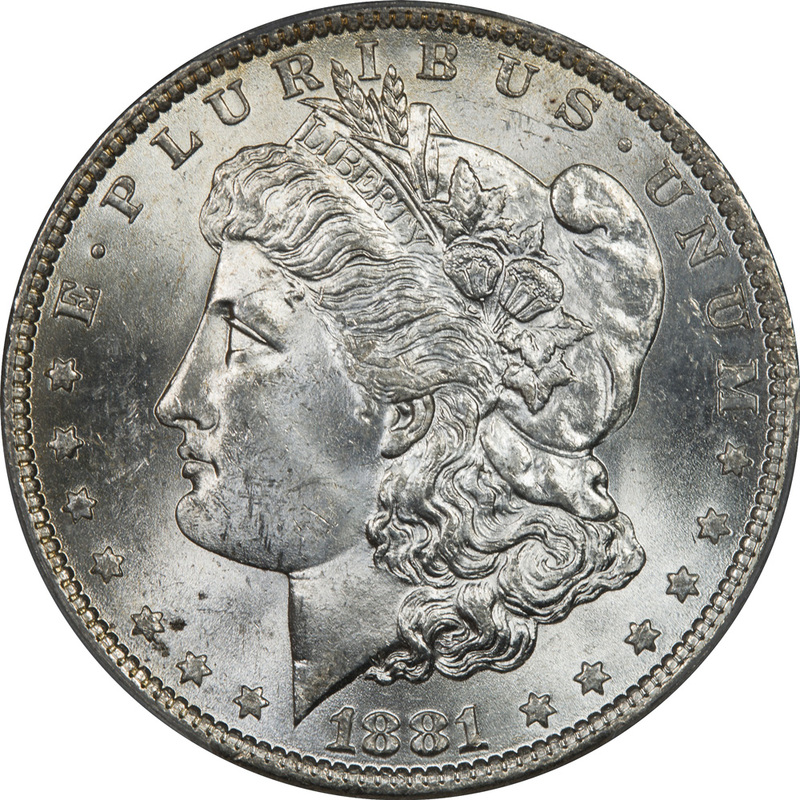 There was just one new toned coin in the group and it has been added to the Toned Coins Section and there is an abbreviated view of those in the right hand column of this page. On August 28 we sent VSS an additional 20 coins for analysis. 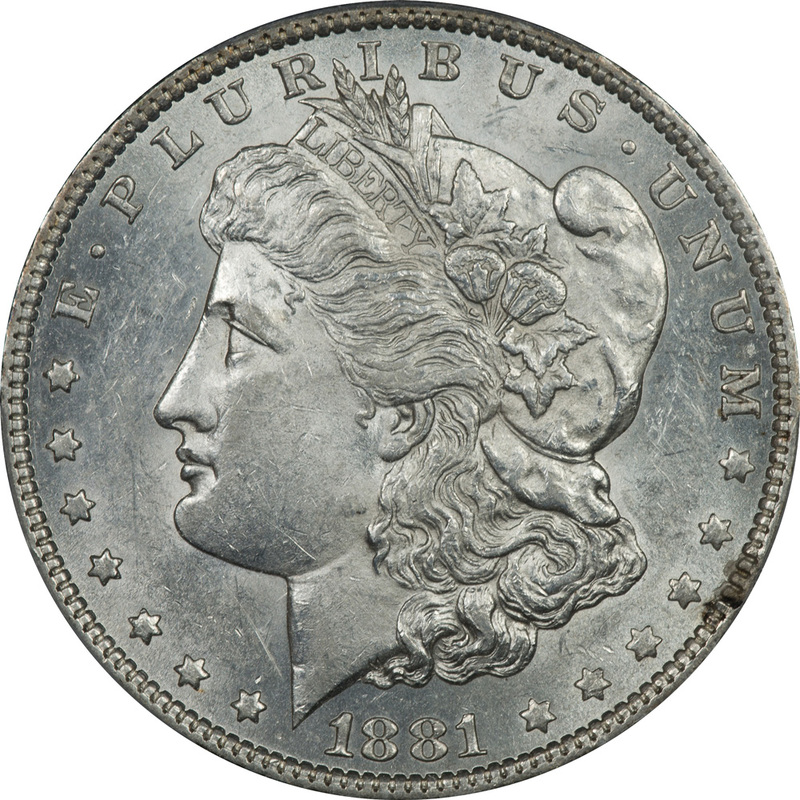 Included in this group is a nice PCGS certified VAM 27, AU 58. On August 24 we sent three groups of coins to PCGS for grading and attribution. 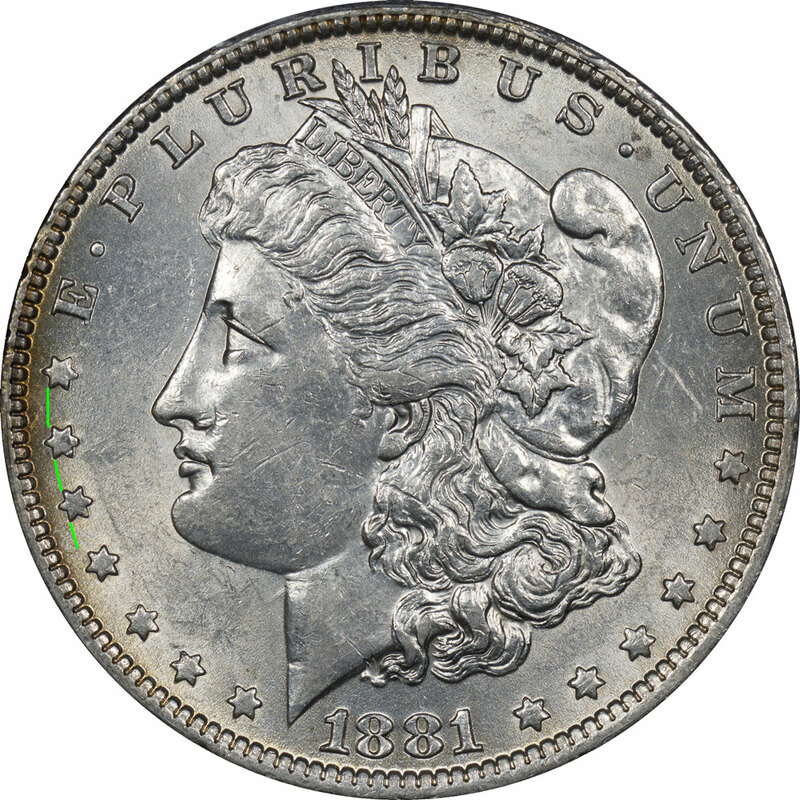 Included in the group are a total of fifteen coins, half of which are VAM 1D or VAM 5. So getting those back will be rewarding and fun. We have other coins to submit, but all in due time. Our work this month has been abbreviated because of some family conflicts. So this will be a month of few updates and mostly just cleaning up the web site, planning our next steps, and thinking about all the work. 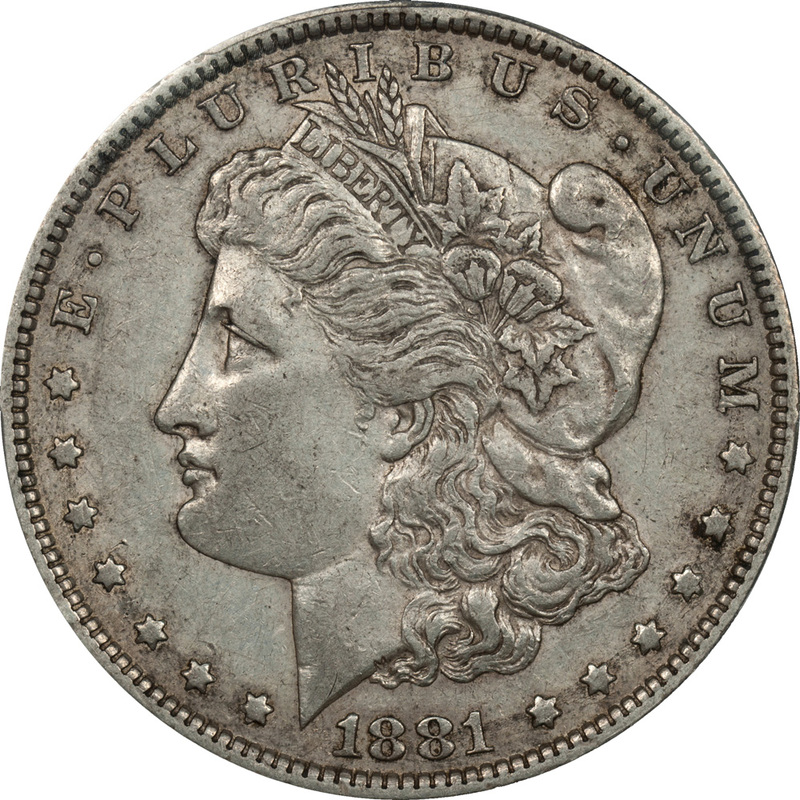 We added just one coin to the Toned Coin Section this month from our recent VSS submission. This is a much nicer coin than the small photo presents and has some excellent early color. Clicking on the link above will take you to the larger images and analysis. The one thing we did have a little time to work on is our analysis of die cracks and breaks since those seem to be short duration little projects. 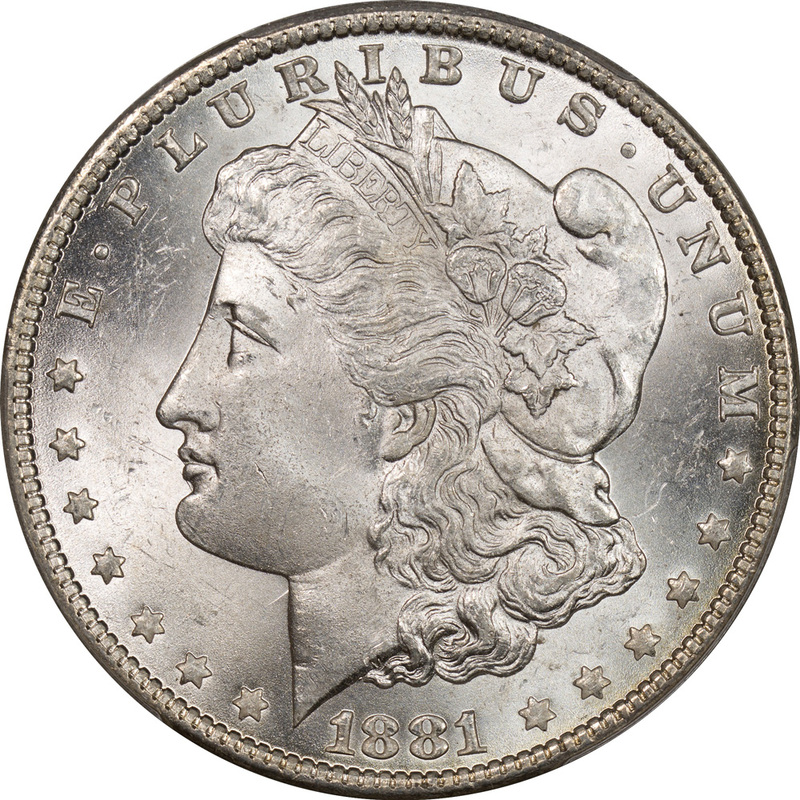 We are slowly working our way toward a complete analysis of the obverse dies, and then it is on to the reverse dies. ​ Right now we need to spend time on Die 3 and Die 1 to be sure we give them proper attention. But this has proven to be helpful to understand die states and will lead to other, more complex, analyses in the future. Right now there appears to be an abundance of reading material about the gold rush out west and we are working our way through what we can find. Of the greatest interest is diaries because they offer first hand accounts of daily life and take some of the glamor and speculation out of living conditions and hardships. The gold hunters : a first-hand picture of life in California mining camps in the early fifties has proven to be another great book. Edited by Horace Kephart, this is the retelling of life in the gold camps by J. D. Borthwick. Unlike other miners, Borthwick sailed to California by way of the Isthmus of Panama and this is the first story we have read of that journey. An English artist, Borthwick came to America to seek his fortune and in the process produced an invaluable record of life at that time. This is both easy to read and enjoyable, but the part of the book related to gold mining and the author's involvement is confined to the first third of the book. If you are overly sensitive to the vernacular of the era you will be offended at times by the language. Just go to your safe space and you will probably be fine! While searching for something new to read we ran across this one by accident. In the past we have read much more complex analyses of coin chemistry, so this one we would place into the category of a beginner's guide to coin cleaning and toning. Written by J. W. Swank, it is easy to work through and if you have basic questions about cleaning and need a how to guide this one might just fit. Obverse Die 14 is a single pairing with Reverse Die a, but produces VAM 24 with VAM designations of 24.1 and 24.2. VAM 24.2 is actually an earlier die state but was discovered last. As of this analysis we have seven examples of Die 24.1, and two examples of Die 24.2. None of the nine examples of either die show any signs of die cracks. Obverse Die 15 is paired with Reverse Die a to produce VAMs 26 and 26A. We have large quantities of these two VAMs for analysis. As of this writing there are eighteen VAM 26, thirty-two VAM 26A, and three VAM 51. When Obverse Die 15 is paired with Reverse Die p it produces VAM 51. VAM 26 is unclashed, while VAMs 26A and 51 are both clashed, but in very different ways. Neither VAMs 26 or 26A show any die cracks, while VAM 51 is starting to develop a small crack. The cracks shown are light, small, and just starting to develop. It seems logical that VAM 51 would have come later since it has the double clash. Obverse Die 21 appears only with VAM 32. Obverse Die 21 (VAM 32) is not rare and we have eight examples ranging from AU 55 to MS 65. So we have quite a wide range of grades in which to examine coins for die cracks. Obverse Die 23 is associated with VAMs 34, 34A, and 61. The VAM differential comes from two sources, clashing and reverse die pairing. In its earliest state Obverse Die 23 is seen as VAM 34, where it is paired with Reverse Die a. Our only example is this AU 50, and it is possible that some features like light pitting have worn away. But the distinctive date doubling is there. Our one example shows no die cracks, but at AU 50 they would be difficult to distinguish. We will need more examples in higher grades to prove a lack of cracks. On the VAM 34A the die received a hard clash that is most distinctive at the lips and neck. But it is the die pairing and not the clash that defines the VAM because the die exists in both clashed and unclashed versions. At this writing we have sixteen examples in a wide range of grades, and none of these coins exhibit and die cracks. 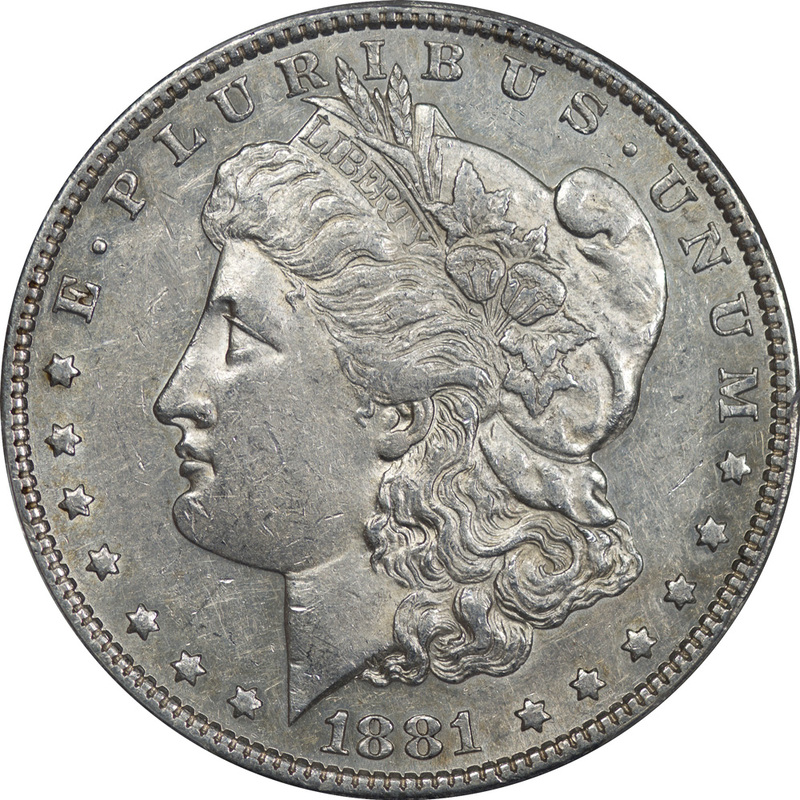 But then when we get to VAM 61, and the reverse pairing with Reverse Die i, a small die crack begins to emerge on some coins at about 3 o'clock. The die crack is superficial, but there is also a little rim cud which indicates that the die was in decline. Obverse Die 24 is associated only with VAM 35 and reverse die i. 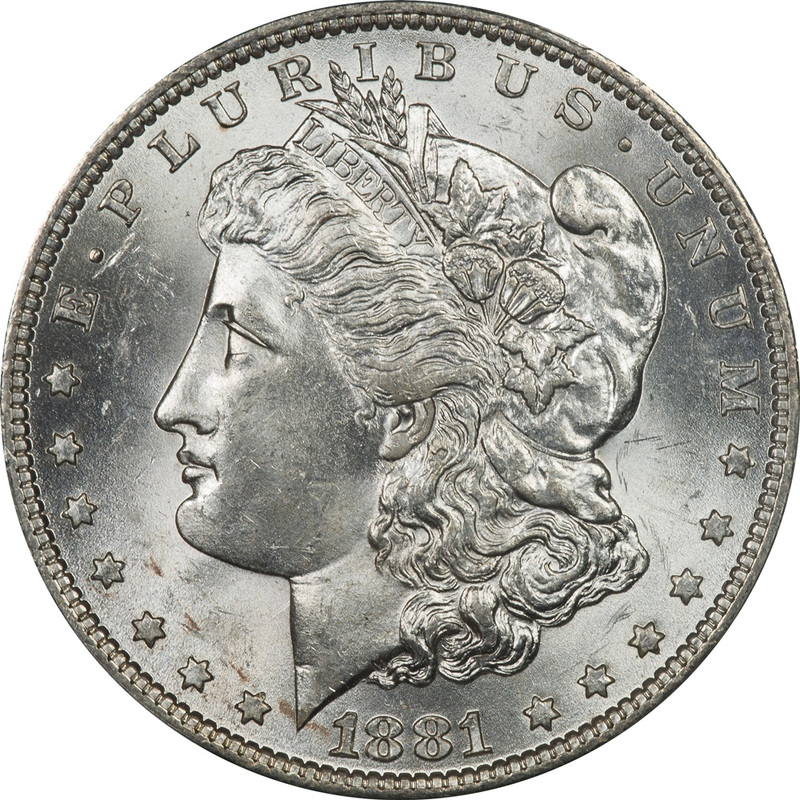 We have thirteen examples ranging from Good 04 through MS 64+, so a wide range of coins to examine. The coins exhibit die cracks at the bottom through the date, and at the top from eleven to one o'clock. 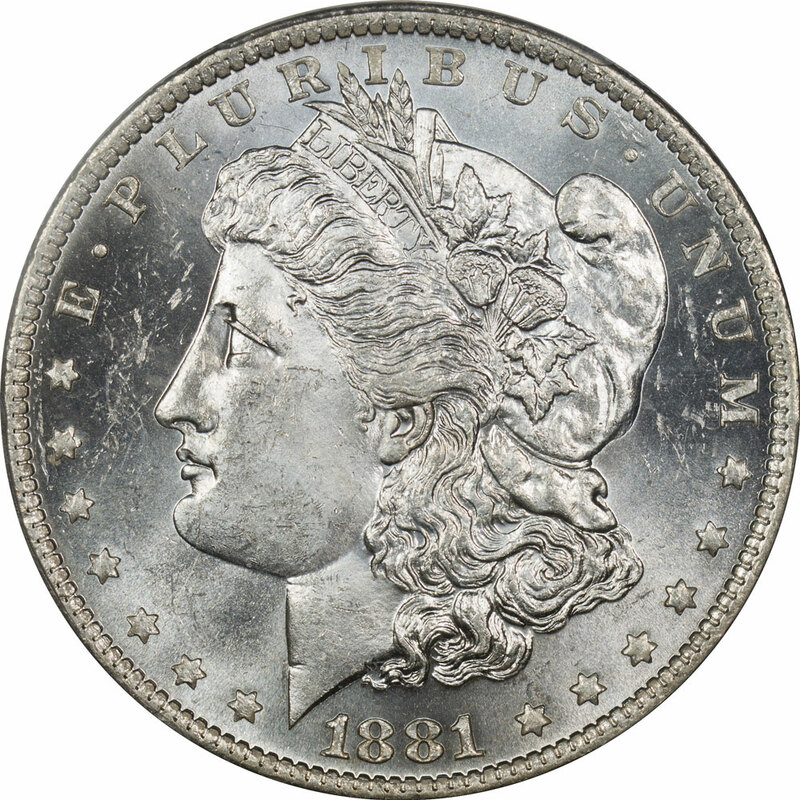 The die cracks around the date are seen as low as an AU 50 coin, and on some coins approach being die breaks. The analysis of Obverse Die 25 comes with some disclaimer since we have but a single example. The die is linked to Reverse Die o to create VAM 36 - Doubled 8-1, O Set Left, Tilted Left. At one point there was believed to be a 36A, but it has been delisted, so this is a single pairing. Our single example shows no signs of die cracks so we would assume this is the earliest die state. Obverse Die 29 appears on two VAMs, 43 and 47. The die is rare, and we have but a single example, an AU 53 in the VAM 43 state. The die has a doubled first 8 and a doubling of the Phrygian cap at the top. Our single example shows no signs of die cracks but this is by no means a complete analysis. Obverse Die 32 is seen only with VAMs 50 and 50A. Its distinguishing characteristic is a doubling of the earlobe. It comes in both a clashed and unclashed version. As of this analysis we have five VAM 50 and twenty-five VAM 50A coins. So there is plenty of inventory for analysis. 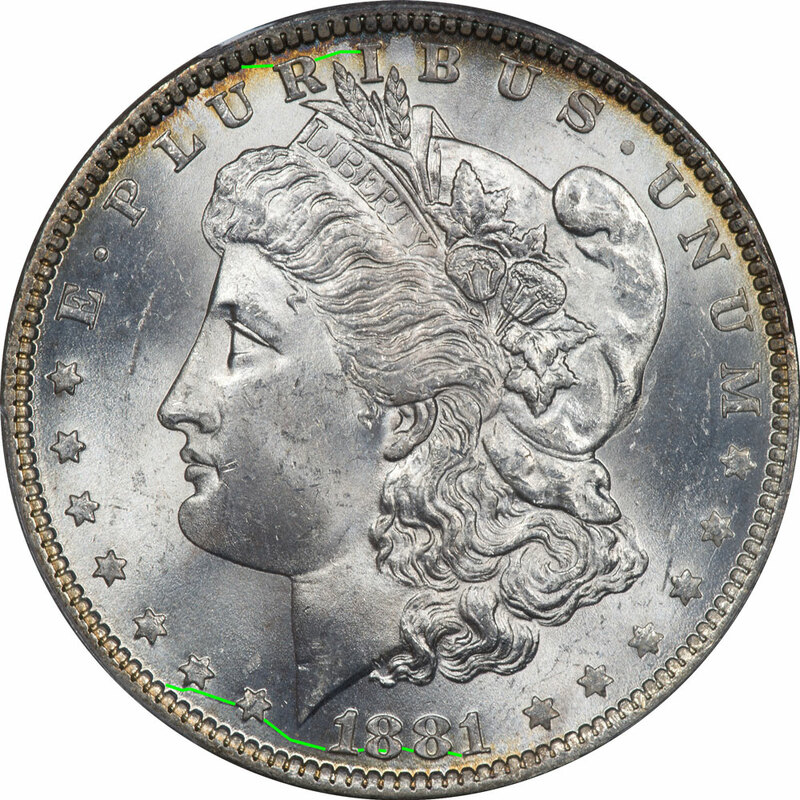 None of our VAM 50 coins show signs of die cracks or breaks. Often the act of clashing will weaken a die so that cracks begin to develop, but this is not the case with Obverse Die 32. Our VAM 50A also shows no die cracks in our examples. 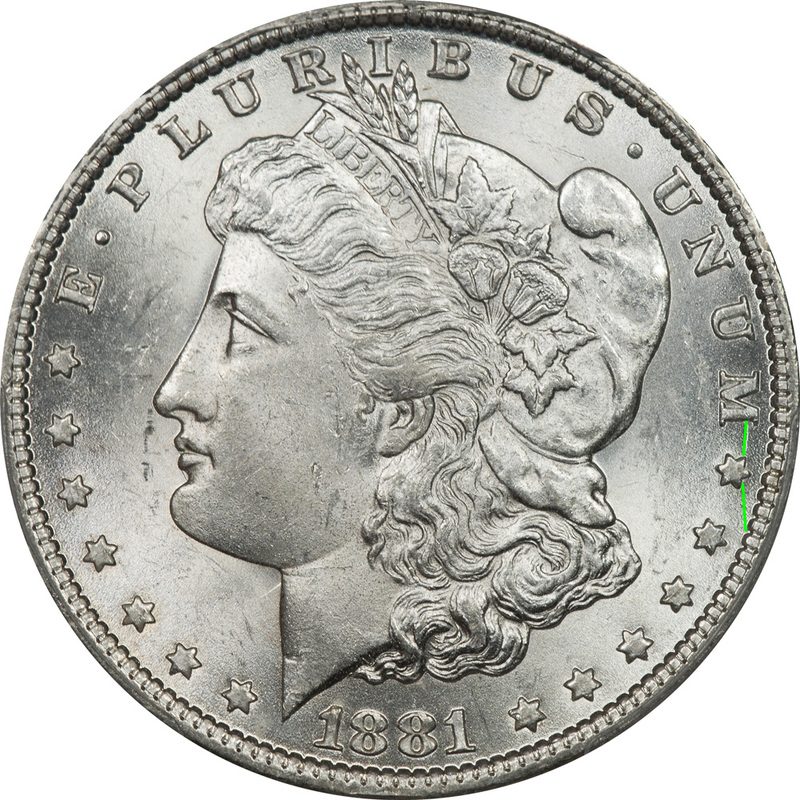 Obverse Die 42 appears on VAMs 64 and 72 and most of the distinguishing characteristics are on the obverse die. Both VAMs are our discoveries. We only have a single example of a VAM 64, so any analysis must have that disclaimer. But our single example exhibits no die cracks or breaks. We have three examples of VAM 72, but none of the three examples show any signs of die cracks or breaks. Obverse Die 49 appears only with VAM 73. As of this discussion it is the newest die identified. Quite by accident we had a VAM 73 coin ready to submit when the discovery was announced. So we have one example of VAM 73, and by extension Obverse Die 49. On our single example there are no die cracks or breaks, but this may change as other examples are located.